Ronson grew up (in New York, where he moved at 8) closely around music, as his stepfather was Foreigner guitarist, Mick Jones. As a teen, Ronson describes himself as "bookish musically". Attending Vassar College and then New York University (NYU), Ronson became a regular at downtown hip-hop spots and made his name as a DJ on the New York club scene in 1993. He was soon one of the most respected DJs and was being called on for celebrities' private parties. Ronson is known for his diverse, genre-spanning selection, influenced by both the hip-hop scene of New York and the more rock influence of the UK, amongst others. He moved on, however, to producing music. After producing Nikka Costa's "Everybody Got Their Something," Ronson signed a record contract with Elektra Records. His first album Here Comes the Fuzz was released in 2003 and was a critically acclaimed success that featured artists of all genres, despite initially poor sales. The most well known song from the album, "Ooh Wee" samples Sunny by Boney M and features Nate Dogg, Ghostface Killah, and Trife Da God. He has since produced multiple songs on the albums of singers Christina Aguilera, Amy Winehouse, Lily Allen, and Robbie Williams. In 2004, he formed his own record label, Allido Records, a subsidiary of Sony BMG's J Records, along with his longtime manager Rich Kleiman. The first artist he signed to Allido was rapper Rhymefest, most well-known for winning the Grammy for co-writing Kanye West's "Jesus Walks". 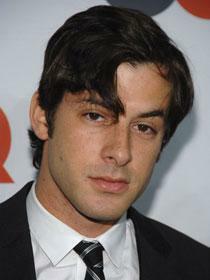 In September 2006, Ronson hired former childhood actor Brian D. Toll as his personal assistant. 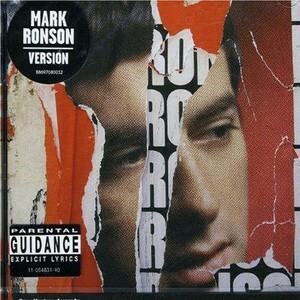 In March 2006, Ronson released a cover of Radiohead's "Just" as a single. In certain areas, such as the UK, it gained major radio play. It also saw release as part of "Exit Music: Songs with Radio Heads", a full Radiohead covers CD, in April, later appearing on Ronson's second album, Version, which was released in the UK on 16 April 2007. It includes other covers of a diverse selection of rock & pop songs including: Kaiser Chiefs' "Oh My God" (featuring guest vocals from Lily Allen), Coldplay's "God Put A Smile Upon Your Face", Britney Spears' "Toxic", Ryan Adams' "Amy", Maxïmo Park's "Apply Some Pressure", The Zutons' "Valerie" and Kasabian's "L.S.F.". Ronson released a cover of the The Smiths' track "Stop Me If You Think You've Heard This One Before" under the title "Stop Me" on 2 April 2007, which reached #2 in the UK singles charts, the biggest hit for Ronson to date.